Fortress batteries can be paired with most chargers and hybrid inverters available on the market. 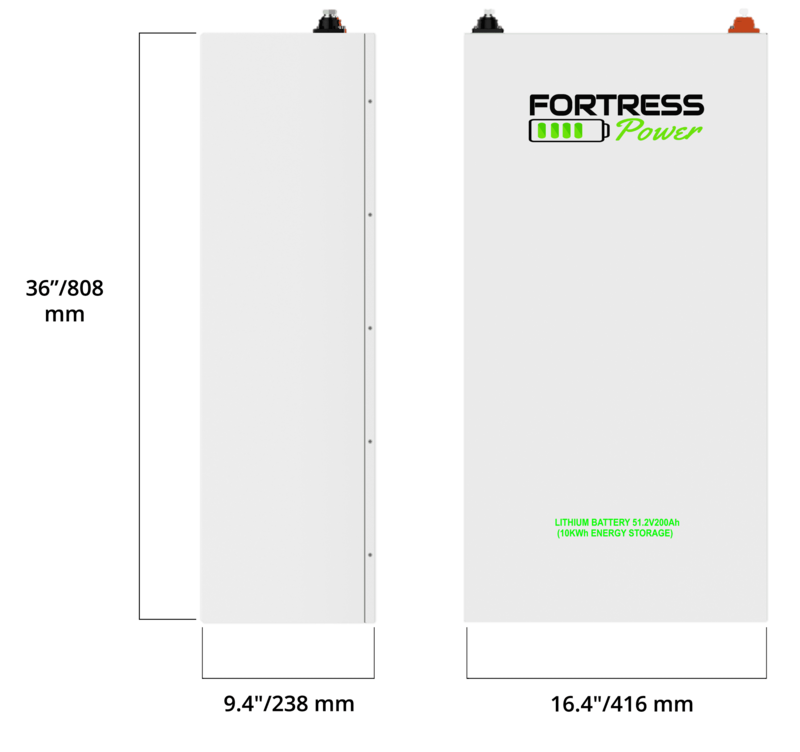 Fortress Power batteries are made from advanced lithium ferrite phosphate technology, which means they produce significantly higher energy discharges than standard energy storage solutions – giving you the power you want, when you need it most. It’s a fact: Lead acid batteries may release dangerous gases that put you and your loved ones at risk – but lithium ferrite phosphate technology is scientifically proven to be safer. At Fortress, we aim to keep your home and business safe; it’s our ultimate priority. Long lasting life span equals valuable financial investment. Fortress Power’s batteries operate for up-to 6000 cycles. That’s up to 10 years of high-quality, reliable service. Conventional lead batteries? They only last through 500 full cycles. The choice is easy. We mean it: Fortress Power batteries require little to no maintenance, so you can install your battery and never have to worry. Traditional lead batteries require service every 3-6 months, but our professional team is here to do the work for you and answer questions. We proudly design batteries that are 1/3 the size of conventional lead-acid batteries – so, you can store your energy without compromising your home or business’ aesthetics. And our batteries come on wheels, which makes installation a piece of cake. Fortress Power’s batteries are cleverly designed to be fully dischargeable – preserving (and possibly extending) their lifespan. Their depth of discharge is preset at 80%, creating 20% more usable energy than lead-acid batteries. So? More energy, less money. Batteries have ​​a large power capacity and high continuous discharge power and can be recharged quickly, efficient round-trip conversions. The advanced Lithium Ferro Phosphate (LFP) technology operates a wider temperature range to provide the most dependable performance. Your family’s safety is our number one priority, that’s why we use the safest lithium technology and apply the highest manufacturing standards. Fortress Power’s Engineers are on a mission to provide you with the most advanced Lithium Iron Phosphate Battery available! Not only is the new Fortress eVault LFP-15 kWh battery safe, long-lasting and affordable, but is also equipped with a brand new LCD screen that displays voltage, state of charge, remaining capacity and power output. Those safety features are demonstrated on the LCD display. 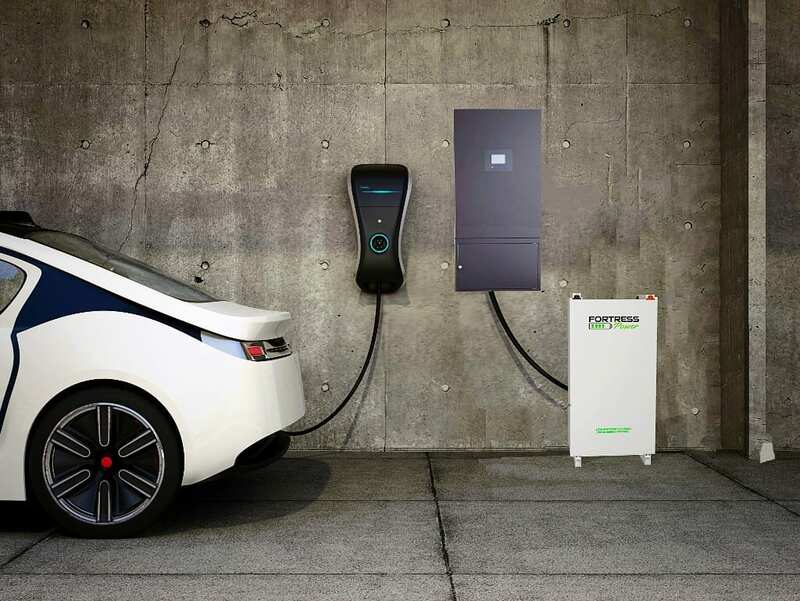 Plus, out technology is capable of connecting 8 units in parallel to achieve 120 kWh! 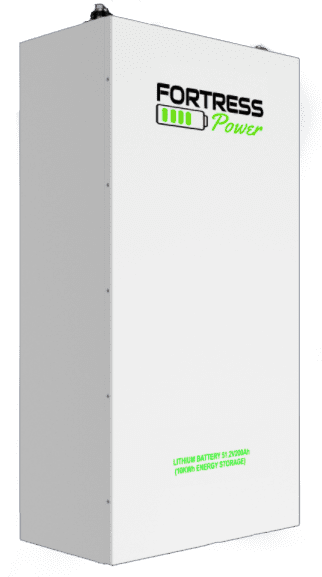 Battery backup – A simple, robust option for using clean energy to keep a building powered during power outage. 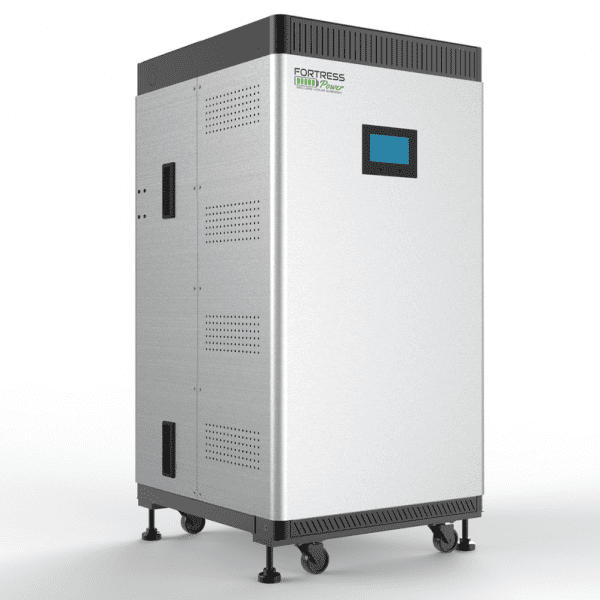 Time-of-Use – Store off-peak grid power for use when utilities charge the highest rates. Off-grid – Use renewable energy to power your home during the day light, and stored excess energy for the night.